When shopping for Dad for Father's Day, think outside the box. Skip the more traditional gifts and instead buy items that fit both his personality and his lifestyle. While a necktie may be the most popular gift for Father's Day, they are a bit boring. Bow ties are fast becoming the go-to accessories for dressing up. 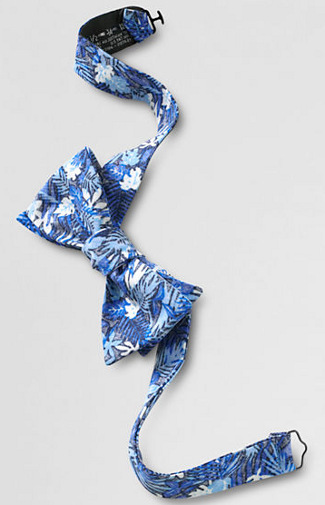 This Father's Day, choose the island-inspired Hoffman Bowtie ($30) that is handcrafted from 100 percent silk and features in a fresh print from Hoffman California Fabrics (the world's top designer of tropical prints). Even if you aren't vacationing on an exotic island this summer, it doesn't mean you should forget the island mentality. 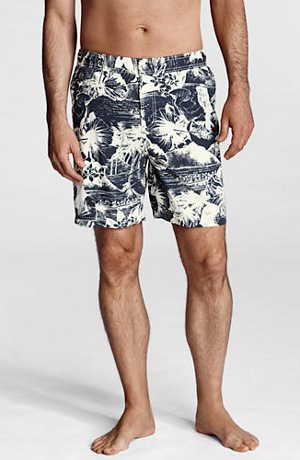 The 7-inch Hoffman Swim Short ($23+) offers authentic style that's rooted in beach culture. These swim shorts feature high-quality design details including a hidden snap fly, comfortably shaped, three-piece mesh liner and a self-fabric carry bag (with a waterproof lining) you can use to bring the shorts back from the beach in. Scattering grass seed is for the birds. 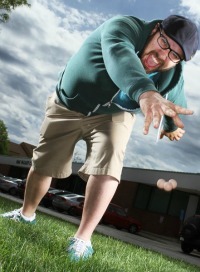 This set of six Seed Bombs ($4) lets dads and kids have fun while transforming a barren lawn. Simply toss and watch the flowers, herbs and other plants grown. The seed bombs will grow plants (bloomed or harvestable) in about 6 weeks. Take Dad back to his childhood with a nostalgic gift. Handmade from a forked buckthorn branch, this Sling Shot ($25) is the real deal. It features natural latex tubing and a leather pouch that offer plenty of firepower for accurate target practice. 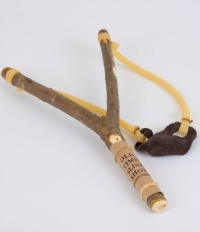 This slingshot is also handy for scattering seed bombs in the yard! Spend time together. According to a recent survey from HomeAway, dads would prefer a family vacation (35 percent) over any other gift for Father’s Day, including new technology (11 percent), golf clubs (6 percent), luxury watch (3 percent), home theater equipment (3 percent), etc. Keep in mind that you don't have to spend a bundle of money on a weekend getaway for the family. 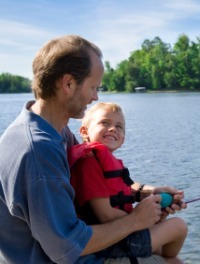 The survey indicates that 48 percent of dads prefers to just a family trip to the lake or beach. Consider Dad's personality, hobbies and other interests when shopping for the perfect gift. And remember one of the best Father's Day gifts of all is just to spend time together as a family.